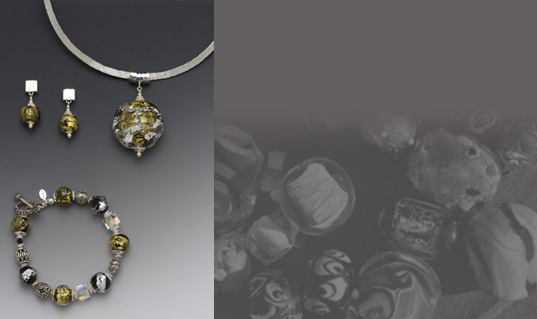 Gold leaf and fine silver leaf are captured under layers of Murano glass to create this collection of unsurpassed depth and richness. 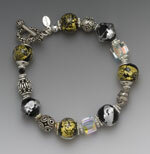 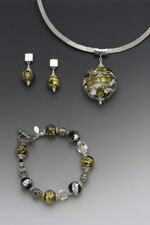 Gold leaf glass beads delicately adorned with matching hammered sterling silver posts. 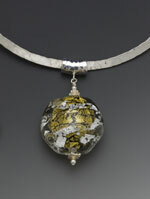 The sculpted glass pendant with suspended gold and silver leaf is featured on a hammered sterling silver choker.